Should You Upgrade to the Nikon AF-S Nikkor 70-200 f/2.8E FL ED VR Lens? Lenses Should You Upgrade to the Nikon AF-S Nikkor 70-200 f/2.8E FL ED VR Lens? 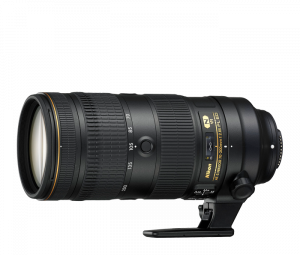 The Nikon AF-S Nikkor 70-200 f/2.8E FL ED VR Lens is the latest iteration of Nikon’s heralded 70-200mm f/2.8 constant aperture zoom lens. The impressive image quality is causing many professional and hobbyist photographers to trade up for the new lens. To start, the lens is noticeably faster. During high-speed continuous shooting with a fast DSLR like D5 or D500, the lens’ electromagnetic diaphragm syncs with the camera shutter for remarkably consistent exposure, even with a teleconverter. The Nikon AF-S Nikkor 70-200 f/2.8E FL ED VR features improved AF tracking as well. The sharpness is outstanding. The new optics include six ED glass elements, Fluorite (FL) and High Refractive (HRI) lens elements, and Nano Crystal Coat (N). Nikon’s VR image stabilization has been enhanced from 3.5 stops to up to ~4.0 stops. Close focus has been enhanced from 4.6 feet (1.4m) to approx. 3.6 feet (1.1m). The build quality is also impressive, with a more rugged feel. The weather sealing is also better with the new model. Every movable part of the lens barrel—nine parts in all—are extensively sealed for dust and water drop resistance. In addition, the front lens element is coated with Nikon’s non-stick Fluorine coat, resisting dirt, fingerprints and smudges. The lens is also lighter than its predecessors. To improve handling, Nikon also switched the zoom and focus rings, with the focus ring closer to the mount now. While many photographers do find the new setup more comfortable, it takes some getting used and hasn’t been a hit with everybody. 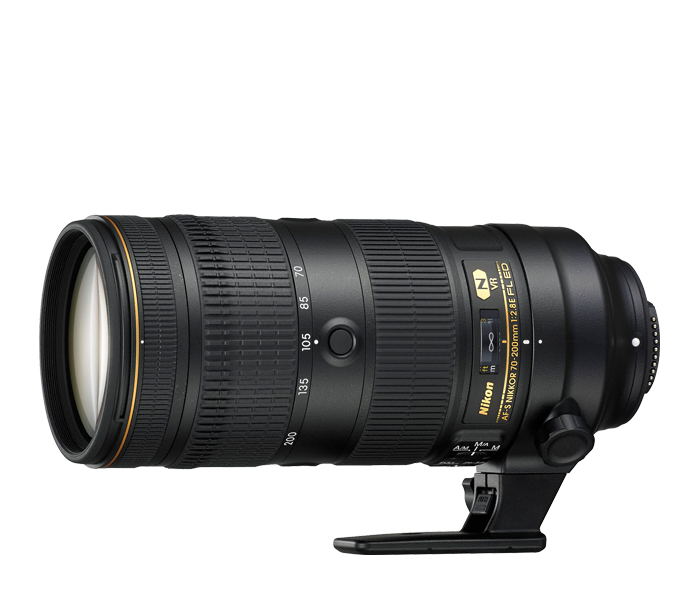 The Nikon AF-S Nikkor 70-200 f/2.8E FL ED VR Lens sells for $2,799.95. It is available via websites like Amazon.com and B&H Foto.